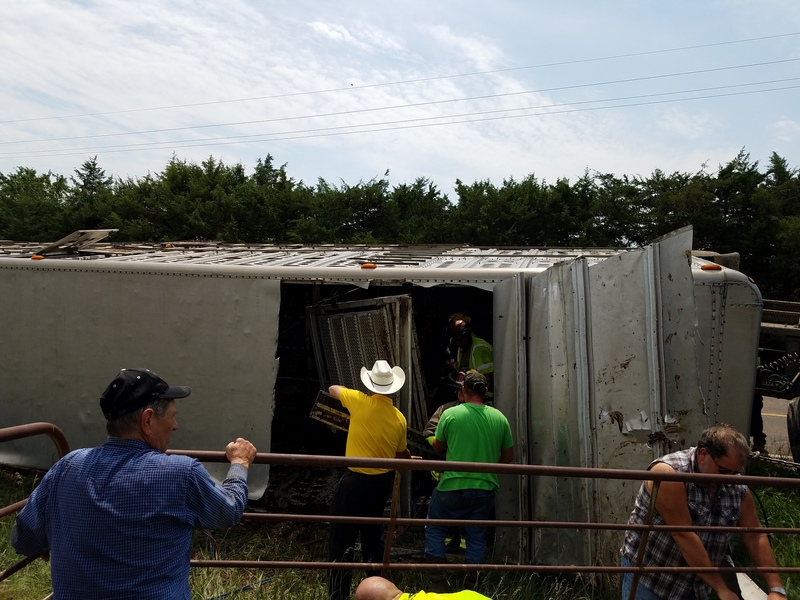 Multiple animals became trapped when a truck hauling 65 head of cattle crashed southeast of Salina late Tuesday morning. Saline County Sheriff Lt. Mike Smith told KSAL News at the scene that a semi hauling cattle was headed west on K-4 Highway. The truck crashed as the driver reached to get something. A couple of wheels dropped off the road and the load shifted. The truck rolled onto its side into a ditch shortly before noon. 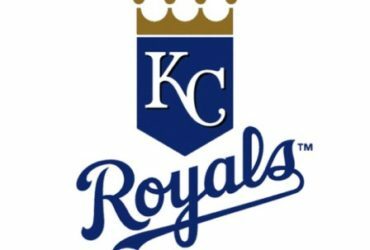 The driver, identified as 34-year-old Jimmy Grissmen of Duncan, Okla., was not injured in the crash. The semi, a 1996 Peterbuilt Tractor Trailer was not damaged too bad, however, the trailer is likely totaled after nearby neighbors helped first responders cut open the trailer to try and free the cattle. Multiple cows were able to safely exit the truck. Eight of them escaped from the crash sight and ran off into a neighboring pasture before a temporary pen was set up. About two dozen cattle were trapped in the truck. The Salina Fire Department responded to the scene to help rescue the trapped cattle. The majority of the cows trapped in the truck were able to be freed. A half dozen died in the truck. The crash happened during the noon hour about a half mile west of Southeast of Saline High School, just west of Woodward Road, on K-4 Highway resulting in the highway being closed close to an hour according to Saline County Undersheriff Brent Melander. Melander says there is no word on the extent of damage done. We are on the scene where a cattle truck has crashed. Salina Fire has responded to help in freeing multiple animals that are trapped.